Learn everything you need to know to get into law school. 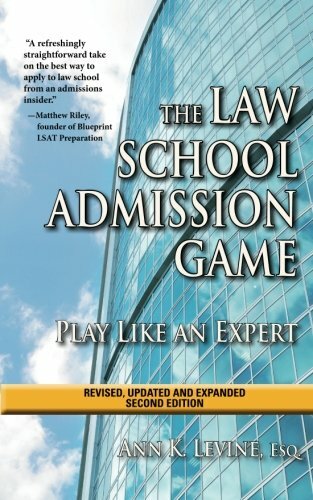 This re-written and completely updated version of the bestselling law school admission guide (first published in 2009) provides detailed information on how to present yourself in the law school application process. Ann Levine brings more than a decade of experience in law school admissions (as director of admissions for law schools and as a law school admission consultant) to provide advice about writing the best law school personal statements, how to choose people to write letters of recommendation, what to include in your resume, how to explain weaknesses in your application such as a low GPA or LSAT score, the best way to prepare for the LSAT, and how to choose a law school. Once you've submitted your law school applications, this book will continue to guide you on getting accepted from a waiting list, negotiating law school scholarships, and transferring to a new law school after your 1L year. The book includes sample resumes with annotations, an analysis of personal statement introductions, tips on writing optional essays for law schools, and sample addenda. Even if you are a non-traditional applicant, an international student, or if you have learning disabilities, you will find tips specific to your situation. Author: Ann K. Levine Esq.